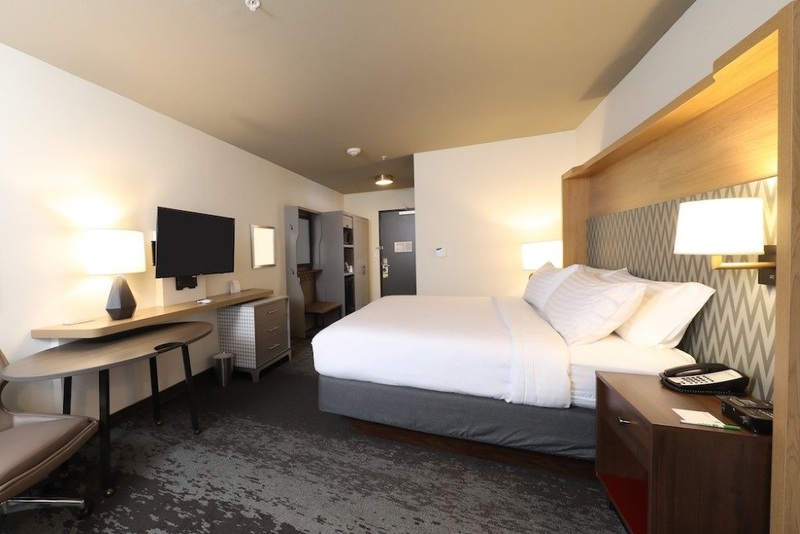 Holiday Inn decided to switch things up a bit from their traditional suite layout at their new location opening in Bellingham, Washington. The new room design is called H4 and these plans stray away from the typical composition of a hotel room, instead, creating these areas with what a millennial would look for in a hotel suite and have an emphasize on flexibility. 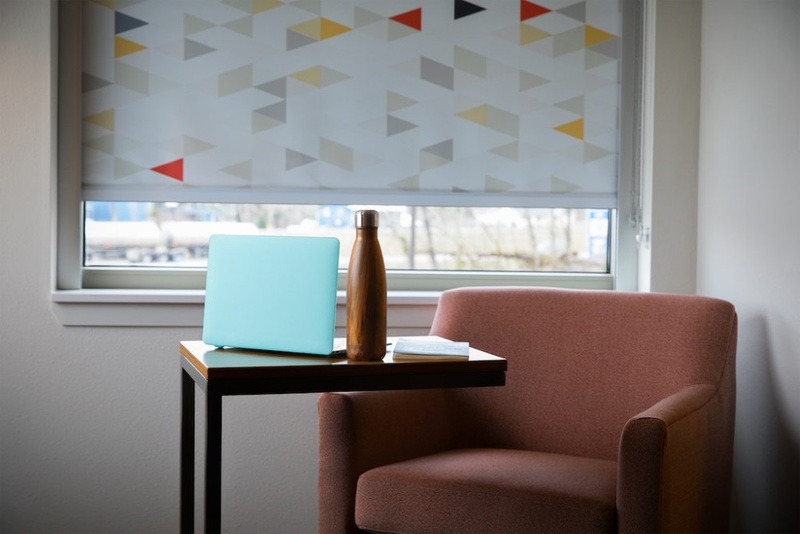 These accommodations feature additional comforts in an attempt to have guests associate their room as a home they’re renting out for a few days. When a guest walks into their new H4 guest room, they have an immediate sense of home with the addition of the welcome nook at the entrance. The welcome nook features various hooks guests can hang their coats or bags on as they walk in, instead of using a closet. 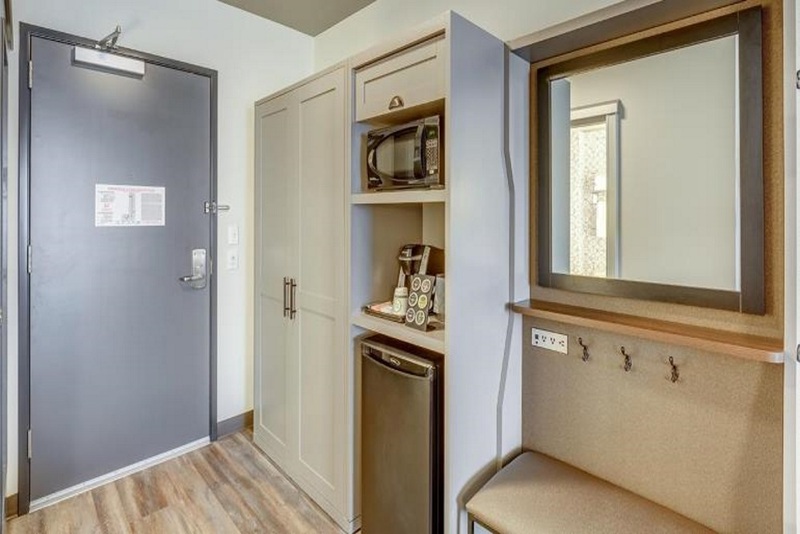 This area also has an outfit outlet adjacent to the hooks for guests to charge their electronics rather than solely relying on their nightstands, and this area includes a counter for the devices to rest on, or for a guest to place their keys and wallet. The location matches the entry way of many households where residents have a bowl or dish they like to store their belongings they grab before leaving the house. All of the rooms have a movable desk to place wherever they want to have it. This allows a guest to have the liberty of choosing where they want to work and find out where feels most comfortable to them. They can choose to place it in front of their television, or they can move the desk to look out their window to take in the sights of the new city they’re visiting while they’re hard at work. For this location, Holiday Inn created a new room type termed the King Bed with Comfort Hideaway made for two guests to share. In this room guests have access to a type of bed known as a trundle, which has two mattresses on top of one another that a guest pulls out to transform it into twin beds. When the lower mattress gets pushed back under the larger one, guests can casually sit on top of it to watch television or relax for the evening and treat it like a sofa. Holiday Inn plans to change all of their existing hotel rooms to match the H4 design in the next few years, and any room created from now on will also use this layout.